Good trees do a lot more than offer shade. 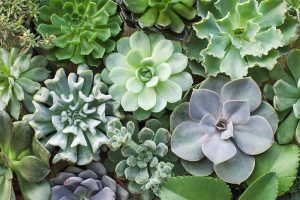 They act as miniature ecosystems while defining areas of the landscape, and they also provide the benefits of cleaner air. Being in the presence of tall trees has positive psychological benefits, and there are few better gifts to future generations than a mature shade provider. But trees with good shade and strong growth patterns can provide situational uses too. I recently went camping and was dismayed when I saw the precise location of my campsite offered nothing in the way of tall shade. Besides the obvious protection from the sun that it provides, the complete lack of canopy cover meant there was no protection from the rain and wind. For half a moment I looked at the sky above and decided that I might luck out, that the weather would hold. A grumble on the horizon drew my gaze and a wall of incoming storm clouds dashed away my hopes. What followed was a scattered few hours as we set up our tent and campsite, then scrambled to jury rig a tarp over the tent that protected us from buffeting winds and some torrential downpours. We made it through the weekend with little more than a few drops of moisture entering the tent, but our rushed efforts to cover the tent would have been almost effortless with a large shade tree on the premises. Think about hanging up a hammock in the backyard, or attaching a tire swing. If you have children, think back to the memories you made as a child yourself playing under the shade of a giant tree, made all the more massive by your pint-sized self. There’s a Greek proverb that says, “A society grows great when old men plant trees whose shade they know they shall never sit in.” That’s some far-seeing wisdom right there. But what if men (and women) could plant trees today and still appreciate some of that shade in a few short years? A wide spectrum of trees fits the bill for fast-growing, shade-providing staples in the yard. 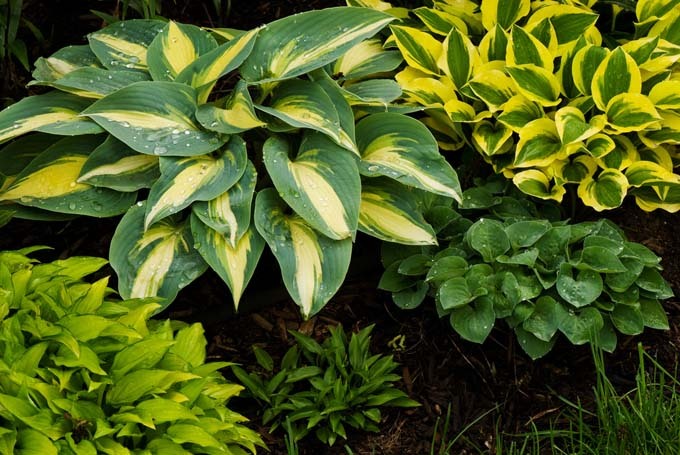 Read this guide to find the perfect selection for your yard. As with all plant selections, it’s vital to work within the framework your yard and property provides. We can’t grow lavender in a swampy spot and a bald cypress can only be so happy in a dry, sandy location. Be mindful of areas in the yard that are especially wet or are near a septic or other utility line. 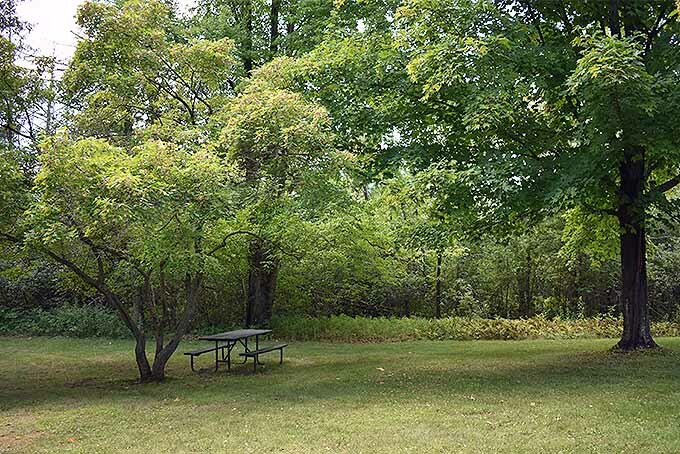 Some trees are voracious consumers of water – great for drying up a wet spot, but eventual doom for a septic system! If you’re in the US, remember to always call ‘811’ before any project involving digging. They can help you pinpoint the areas you should not dig in. Similarly, be forward-thinking about the eventual size of your tree. That birch might look great on the corner of your house right now, but in five or ten years it can rocket upwards and become a constant nuisance to your house. Sidewalks, patios, driveways, power lines, and streets are some other areas to be mindful of when planting a tree that will fill in that area sooner than later. Eastern White Pine Tree (Pinus strobus). Photo by Matt Suwak. One of the benefits of a shade tree is that it provides a cooling area from the heat of the sun. 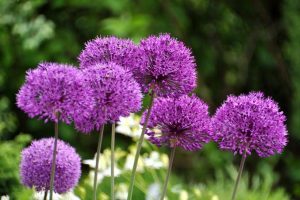 Consider planting these in the southern, western, or eastern areas of your property to maximize protection from the sun. 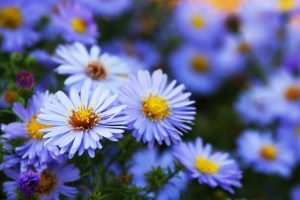 The most common mistake when planting is to think in the short term. Right now that new willow is going to look great, but give it five or ten years and it could completely take over that portion of your yard. Take time when surveying the right location for your new shade provider. Make sure the area can hold a large plant and isn’t going to cause a problem in the near or far future. Just this past Labor Day weekend I was battling with a willow tree I foolishly planted too near my mother’s house. It took all day to get it under control, and it still isn’t finished! If I had selected a better location when planting and considered the eventual size of the tree, I wouldn’t have spent so much effort getting things under control. Soil conditions can make or break a new planting. If the soil is too wet or poorly drained (I’m looking at you, clay!) it will only exacerbate conditions leading to root rot. At the very least, amend the soil during planting with something that promotes drainage, like compost or gypsum to break up the clay. Diverting water from low-lying areas can help prevent “wet feet,” and so can the addition of rain barrels. Some cities offer free rain barrels (and installation) whereas they are unfortunately not permitted in some regions – check your local regulations. 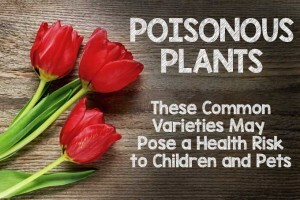 Keep in mind that some plants on this list thrive in wet conditions, but are still prone to root rot after being planted. As great as a fast-growing tree is to the gardener, it can also problematic. 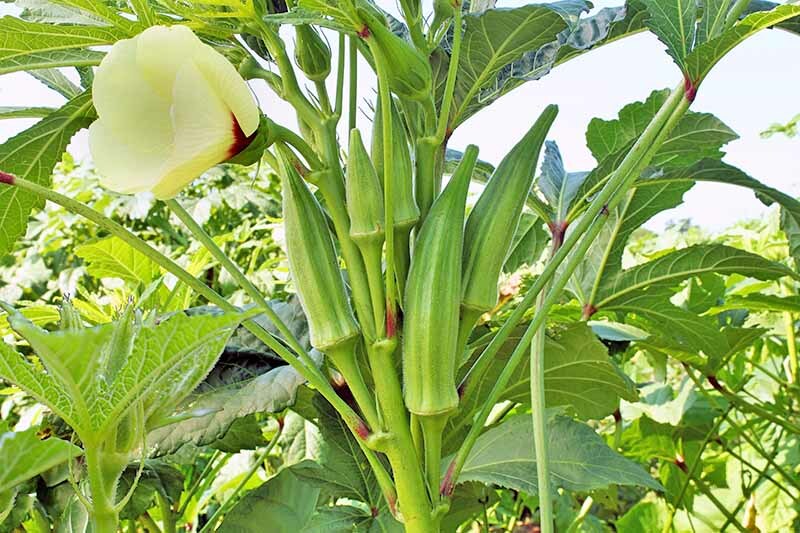 A few produce prolific seedlings (paulownia is one example), while others capitalize on taking up as much space as possible (like weeping willow). Paulownia is excellent for shade, but it does shed a lot of seeds that will germinate easily. Photo by Matt Suwak. Still others happily produce messy debris. The American sycamore litters its bark freely across the lawn, while the ginkgo covers the fall landscape with carpets of yellow-gold leaves . On the note of ginkgos, be mindful to avoid planting female trees. Female ginkgos produce a fruit that stinks the place up something terrible. Nurseries typically only grow male specimens, so you don’t need to worry too much about that stinky fruit if you purchase from a reputable seller. 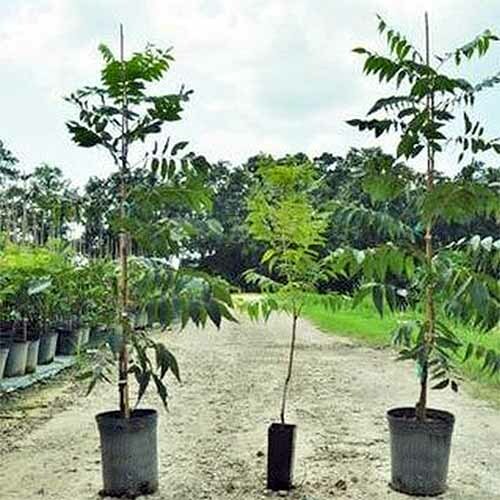 Lastly, there are three types of nursery stock you’ll find available for planting trees. Each offers its own benefits and hindrances. Ah, the affectionately titled “B ‘n B.” These trees tend to be the largest available for planting from a nursery. It’s not unusual to find a 14-foot-tall tree weighed down by a six-hundred-pound rootball wrapped in burlap and a wire cage. These trees are incredibly taxing to plant, but they offer immediate gratification in their size. B ‘n B trees are almost immediately established after planting, and their massive root ball holds the trees firmly in place. Besides the size and logistics of planting a B ‘n B, the removal of the wire cage and burlap once it is in the ground can be a headache. The nursery standard for trees. 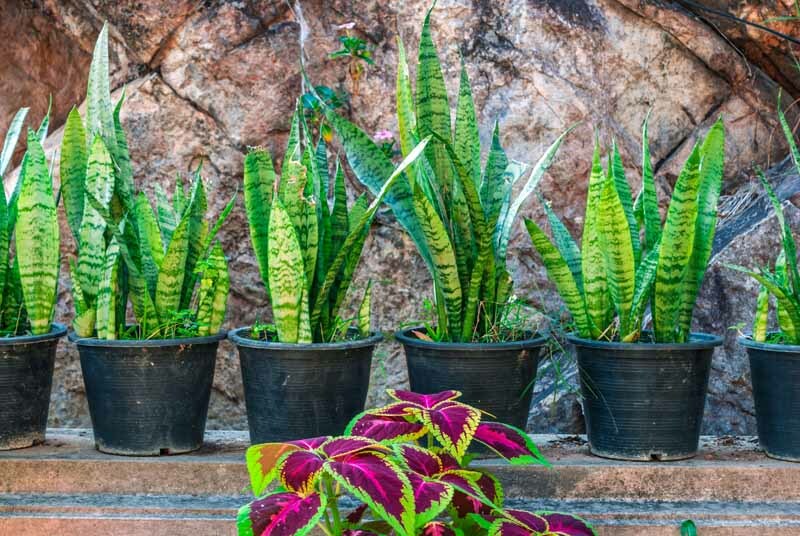 These plants are available in sizes ranging from a one-gallon pot up to about a fifty-gallon pot. Large, established, and relatively easily portable, potted trees are the most common option when purchasing a new landscape tree. Downsides include a tendency for these trees to be rootbound, therefore requiring extra attention and work to prep them for planting. However, the root ball contained in the plastic pot helps guarantee minimal shock from transplanting and offers a solid bottom-heavy mass of root and soil, minimizing the need for staking and supports. 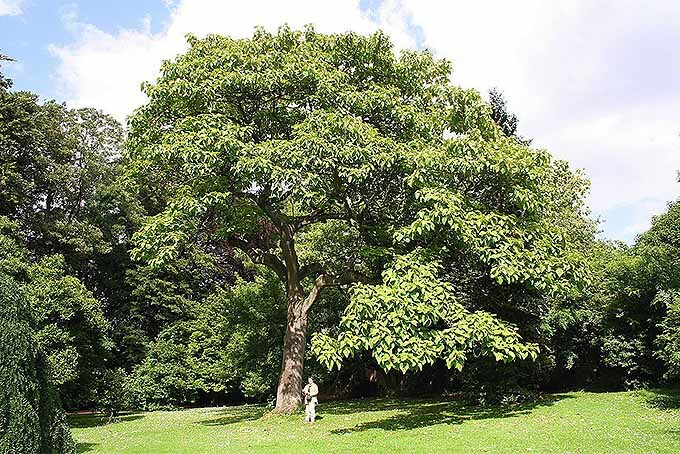 The easiest solution for planting a large tree is a bare root tree. Available from certain garden centers and via direct shipping, bare root trees are the lightest option available. They help encourage a tree to develop a strong, healthy root structure. 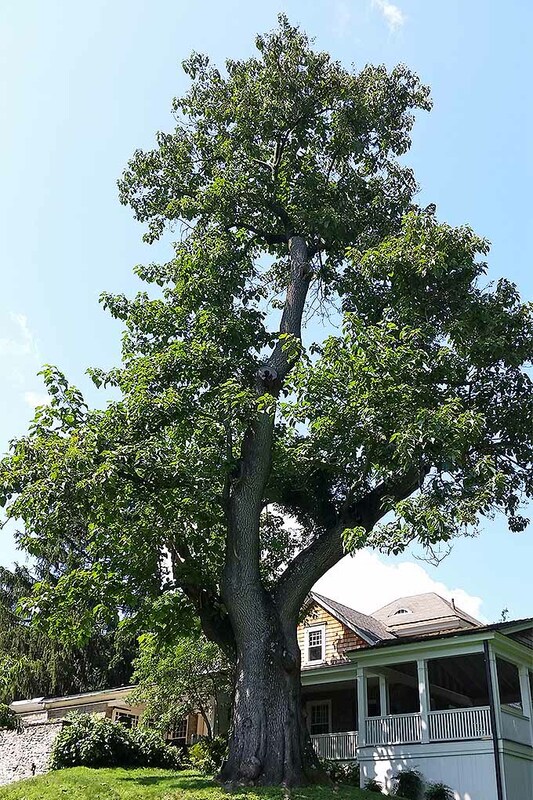 The downsides include limitations on the size of the tree, and the need for more regular staking and support to prevent the tree from collapsing until its roots are established. The river birch and paper birch are excellent additions to the landscape. Both are available via the above links from Nature Hills Nursery online. They grow best in clumps of several trees and can be used as ornaments by themselves, but function optimally as part of a woodland garden. The river birch can reach mature heights of 40’-70’ with a 30’-60’ spread. 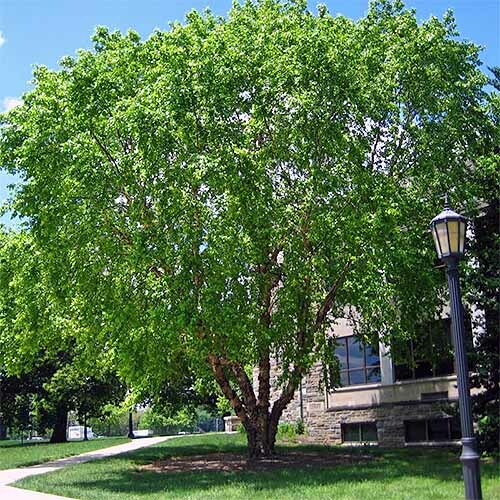 The paper birch offers a mature height of 50’-70’ with a 35’ spread. Birch trees grow in clumps, with older “trees” dying and then being replaced by young ones. 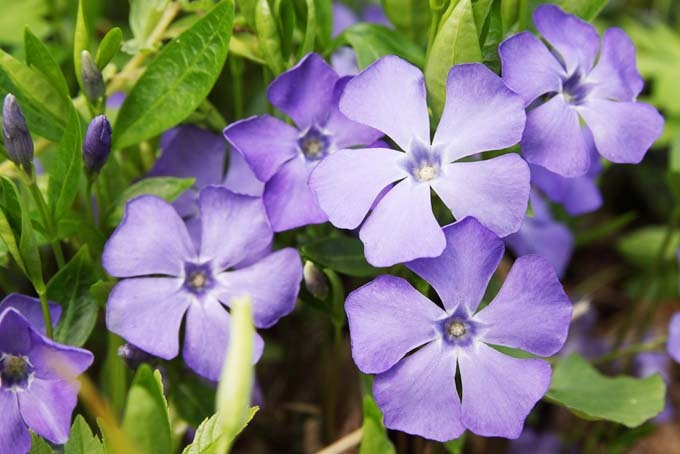 Be wary of planting this fast-grower too close to the house or power lines. The catkins that fall from the tree in springtime can damage the paint on cars if allowed to mass up. 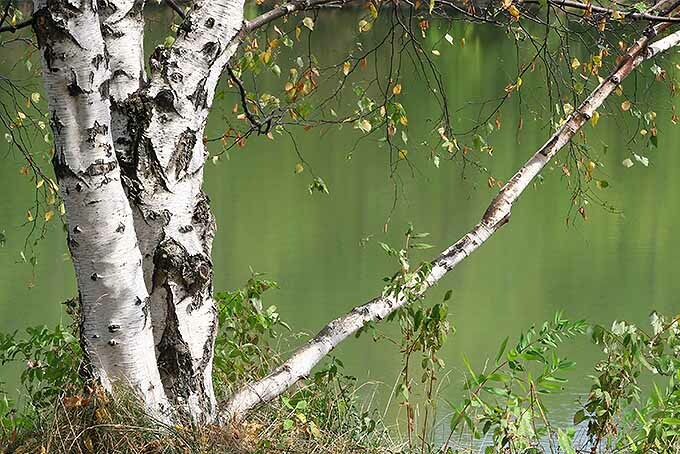 They both prefer well-drained soil but can tolerate drought; the river birch is the most resistant birch to the birch borer, a pest that can destroy birch trees. Yellowing leaves during the summer are an early indicator of birch borer, and these branches must be immediately removed. 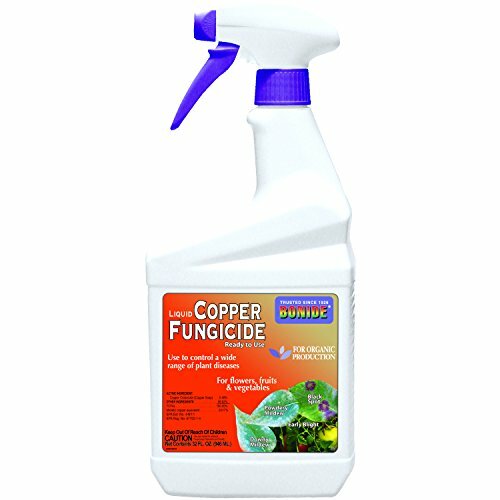 Use a copper fungicidal spray on young trees to prevent leaf mildew and other topical problems. We like this one, available on Amazon. Tulip poplars are some of the tallest trees in the eastern United States. The tallest known specimens stands at 191 feet! Offering an attractive leaf shape and prolific flowering in the spring, tulip poplars are an excellent choice for shade. 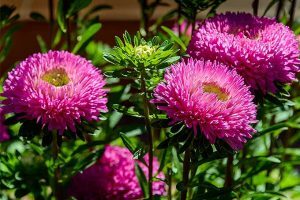 They are readily available from reputable nurseries, even online like these from Nature Hills Nursery. They also stand proudly in any landscape, offering shade and towering authority. These trees do their best in full sun where they are allowed to spread out and grow freely. Their seedlings can sprout up around your lawn and around property lines, and probably in your neighbor’s yard, and their neighbor’s, and then their neighbor’s too! Tulip poplars produce a mass of debris from flowers and branches to shed leaves. Watch for yellowing leaves in the summer, a sign of dehydration and then weakening of wood. The limbs on old trees are prone to breaking because the wood is soft. Parasitic wasps are beneficial for controlling the pests that bother these trees. They are also less tolerant of pollution than other trees on this list. 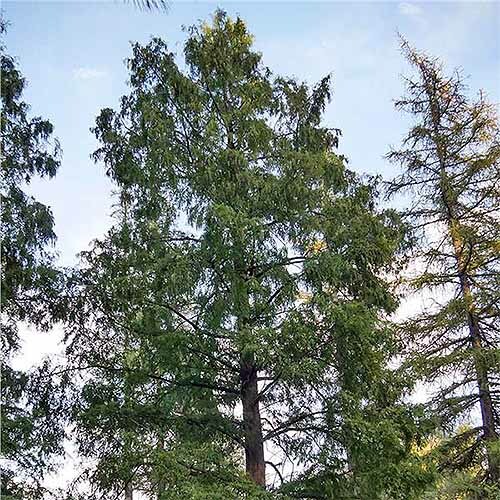 The famous dawn redwood was discovered in a valley in China; previously, it was believed to be extinct since the age of the dinosaurs. Nowadays you can simply purchase one from the Arbor Day Foundation. They cannot be shipped to Alaska, Arizona, or Hawaii. These trees can quickly reach towering heights and offer a perfect pyramidal shape. 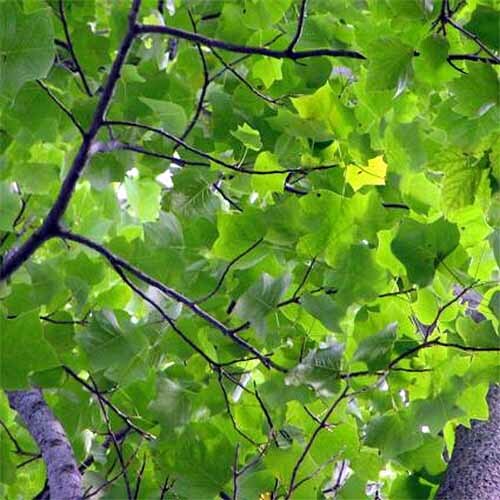 The bark is a beautiful color and offers a gnarled appearance, while foliage is a luscious green. Dawn redwoods require almost no maintenance, and they offer a fairly unique feature in that they lose their needles each winter. They reach anywhere between 70’ and 100’ in height, and typically provide a 25’ spread. Dawn redwoods look great when grown in a line, or as singular specimens. Dawn redwoods can grow in wet areas, but prefer moist rather than soaked conditions. They will tolerate pollution, but require full sun and lots of space to grow. Dawn redwoods are highly resistant to pests and diseases, and are only seriously affected by canker infections. The only method of care for this infection is to remove the yellowing and dying back branches by pruning into healthy wood below the spread of the canker. The bald cypress is synonymous with visions of the swamps in the deep south where its gnarled “knees” inch above the surface of the water. 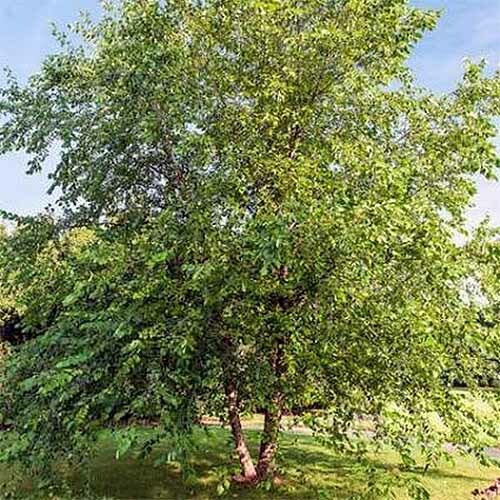 Luckily, it is an adaptable tree readily purchased and can grow in many areas of the United States. Trees are available from Nature Hills Nursery. 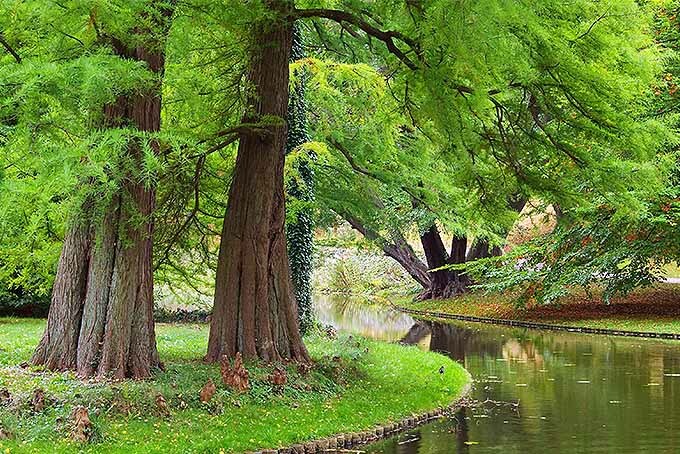 Like the dawn redwood, the bald cypress loses its needles in the winter and flushes new growth in the spring. 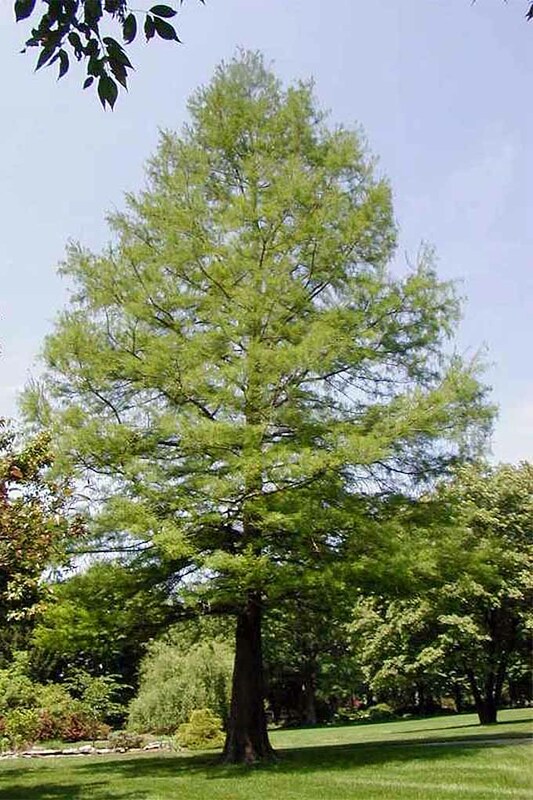 The bald cypress tolerates most conditions, but quickly adapts to wet areas and is a perfect candidate for that low point in your yard. Reaches heights of 50’ to 70’ with a spread of 25’. Wildlife has a love affair with the tiny cones and prolific branching of the bald cypress. Prefers full sun. 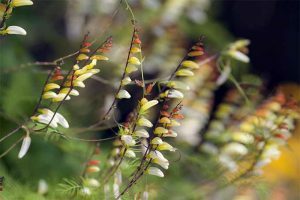 Although the bald cypress is highly resistant to pests and diseases, the few that do tend to bother it are easily controlled by a good watering regimen. 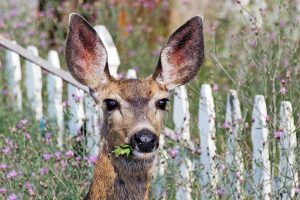 Most pests cause minimal damage. Weeping willows thrive in a more narrow growing zone than the other trees in this guide, but are an excellent choice for shade. They can be purchased affordably via the Arbor Day Foundation store. Cannot be shipped to Alaska, Arizona, Connecticut, or Hawaii. 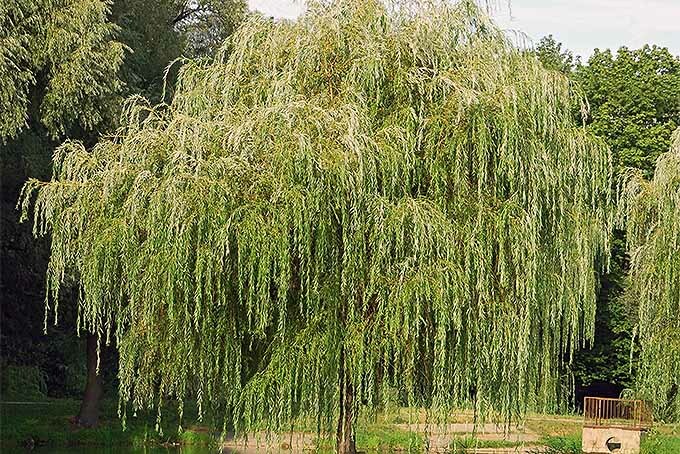 Capable of growing in full or partial sun, the weeping willow reaches a height of approximately 35’, and offers a massive 35’ spread that effectively blocks out all sunlight. These trees will tolerate a variety of conditions, but this is another perfect example for low-lying areas in particular, especially wet ones. 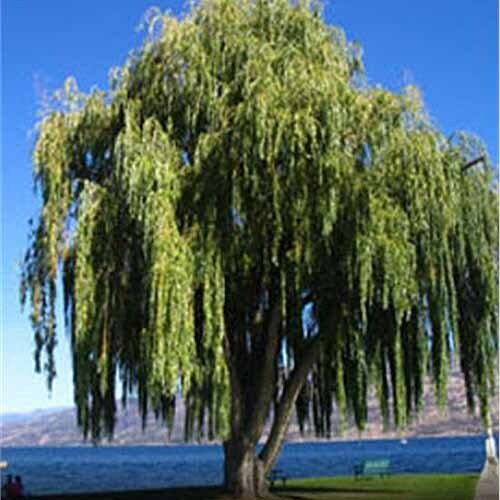 Weeping willows can produce a ton of debris every year. Their leaves blanket the ground and broken branches require frequent maintenance. Willows require consistent cleaning up to remove the ground of dead branches that prevent fungal problems in the future. 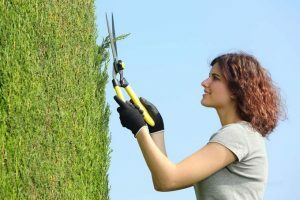 Early structural pruning is vital to ensuring these trees do not become a massive tangle of branches, but if you have room to let a tree grow and do whatever it wants, this is the plant for you. However, the willow is susceptible to a disease called crown gall. The crown gall itself negatively impacts the plant, but it also works as a pathway for other problems later on in the tree’s life. If your plant develops crown gall, the only effective method of control is to remove the tree and wait a full two years before replanting another willow. 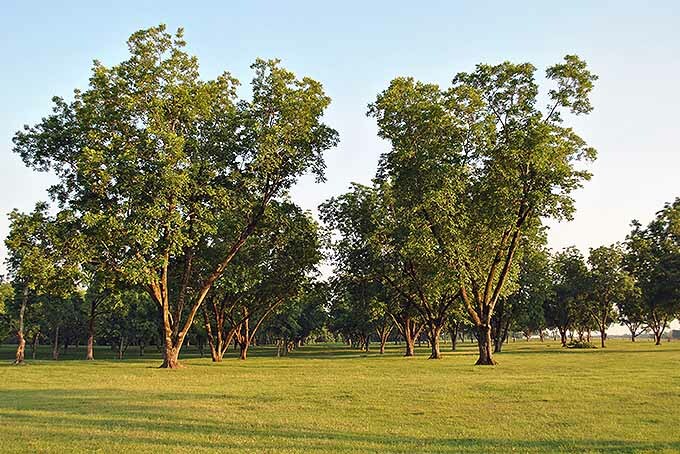 Pecan trees are no stranger to Texas, where it is the state tree. 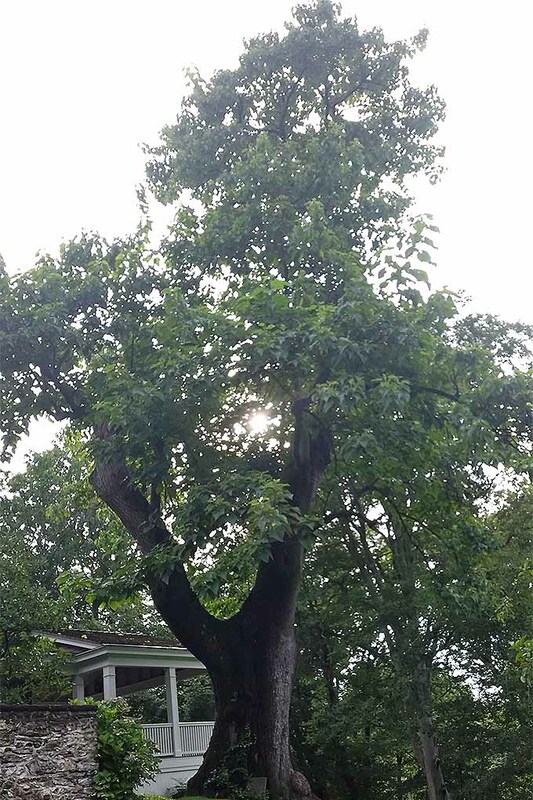 Offering delicious nuts and an incredible height and spread – 70’-100’ tall and 40’-70’ wide – few trees offer as many benefits as the pecan. Plant this tree if you have room for 3 or 4 total trees, in order to guarantee pollination and a crop of tasty pecans. Tolerates a variety of soil types. 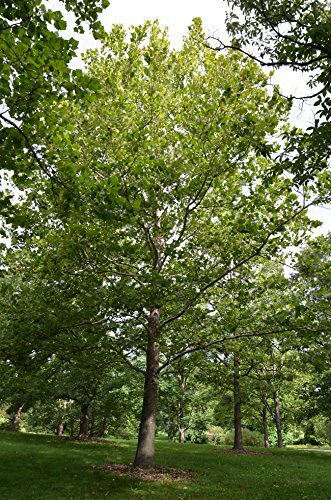 There are a handful of different varieties available for purchase from Nature Hills, including the Desirable, Elliot, Pawnee, Stuart, Sumner, and Hardy pecan. The biggest downside to pecan trees is that they grow a large taproot, making it difficult to transplant except when they are very young and small.They can produce over 100 pounds of nuts a year. When I first moved to Philadelphia, I marveled at what I first thought were sweeps of wisteria in the trees growing along the highway. A few weeks later I learned that these were the flowers of the paulownia tree, a beautiful plant that offers a suitable 30’ to 40’ height with a 30’ to 40’ spread. The leaves on young trees are massive, and in the fall the leaves drop straight from the tree without changing color. Although they seed readily, you can also find trees online, available from Nature Hills Nursery. Despite being beautiful, paulownia is also plagued by weak and brittle wood, roots that pop through the surface of the soil, and a weakness to cold snaps in the spring.They are also a very vigorous seeder; check locally to see if the paulownia is considered an invasive species in your area. 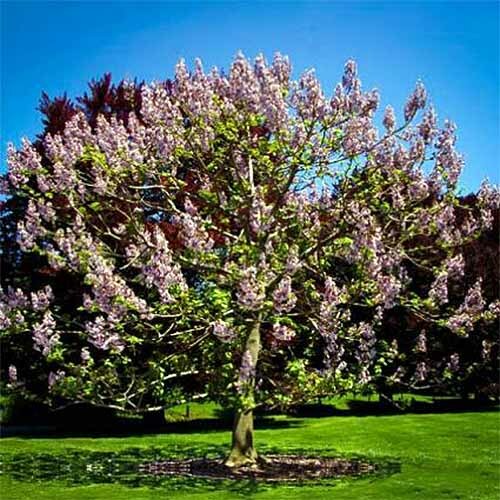 If paulownia has a more specific or pressing issue, it is that it is a voracious grower and will seed far and beyond your intended planting area. The adaptable and stately southern live oak is proof positive as to why oak trees are considered kings of the forest. Although it is fast growing, oak trees tend to be most successful when planted from nursery stock. Trees are available from Nature Hills Nursery. Their willingness to adapt to almost any soil condition makes them favored ornamentals in many areas, and their resistance to pollution makes them ideal street trees. 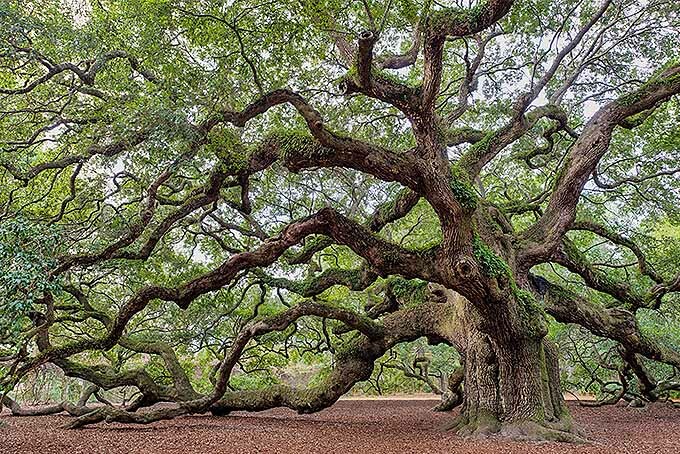 Add to that an incredible wind resistance, and the southern live oak makes for an ideal planting. Reaches 50’ to 80’ tall, with a massive 60’ to 100’ spread. 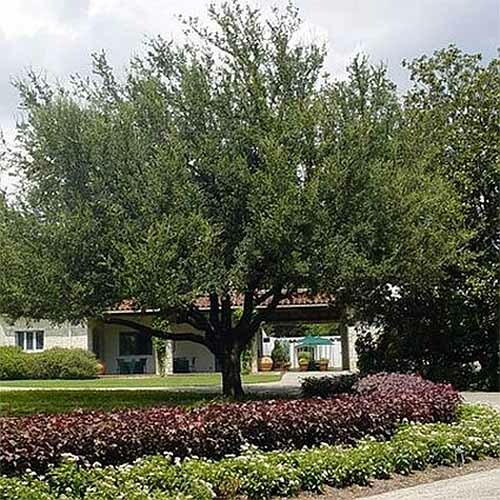 The live oak is resistant to hurricanes and the big storms that tend to rage across the southeast, but it is less resistant to freezing temperatures. Growing a live oak on the northern limits of its range could be courting trouble. It is also a habitat for other plants including Spanish moss, an image ubiquitous with the south. If planted near a curb or sidewalk, the roots of the live oak will seem to “melt” over the stones; this is called thigmotropism and is an interesting feature of the live oak. Ah, the American sycamore. 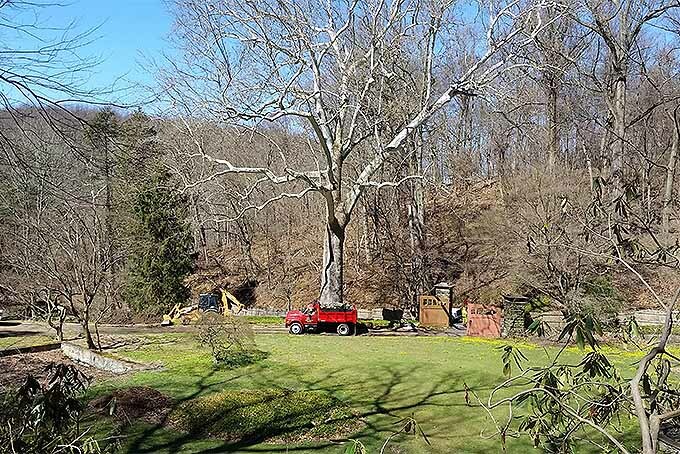 Growing a total of 75’ to 100’ tall with an equally-sized spread, the sycamore is an excellent shade tree. Save yourself the trouble of growing from seed and purchase a tree already standing a few feet tall. 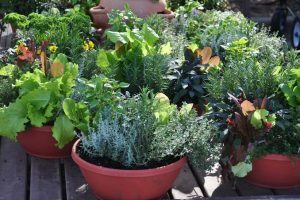 Plants in 1-gallon pots from Grower’s Solution are available on Amazon. It’s a particularly handsome tree with mottled bark and a strong, upright growth habit. It tolerates a variety of conditions but grows well in wet areas where it has room to spread out and do its thing. 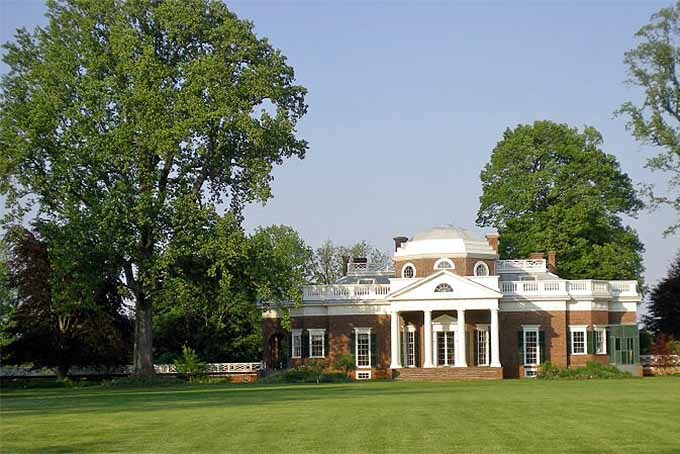 Requires a significant investment in maintenance and cleaning because of the bark and branch debris it sheds. Like the weeping willow, if there’s a place available in your yard to let a tree go wild, this is an excellent candidate. Leaf and twig blight is a concern for sycamores but it can be controlled with adequate watering and fertilizing. Most diseases and pests can be controlled with selective pruning of affected areas. 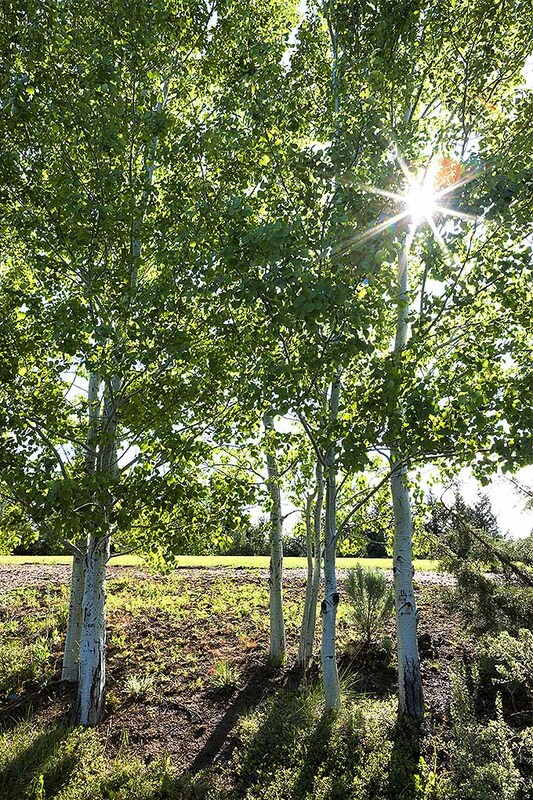 Among the oldest and largest organisms on the planet, the quaking aspen is an excellent choice for a shade tree – if you have the room for it. This fast-grower is available from the Arbor Day Foundation for a very reasonable price. Cannot ship to Arizona, Alaska, or Hawaii. It prefers moist soil, and shoots out suckers that will eventually grow into full-sized trees. This colony of trees can be a blessing if you have enough space for the trees to grow, but can be problematic if planting in a more controlled area. The tree earns its name from the unequivocally soothing sound of its leaves fluttering en masse in the slightest of breezes. It grows to reach heights between 30’ and 50’ and gains a mature spread of 20’ to 30’. Remember that this tree grows in its own colony, and can form an effective, impenetrable shade screen when allowed to go wild. With stunning yellow foliage in the fall, it requires a massive cleanup. Again, the quaking aspen is not a tree to grow in a controlled area. 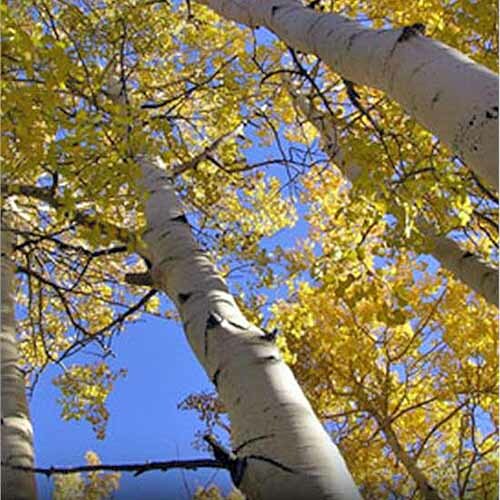 When grown outside of its natural northern ranges, the aspen can be impacted by heat stresses and fungal problems. This tree is also a magnet for wildlife. Unfortunately, this wildlife can come in the form of pests such as aspen borers and tent caterpillars. Borers can invite future fungal problems, and tent caterpillars cause branch die-off. 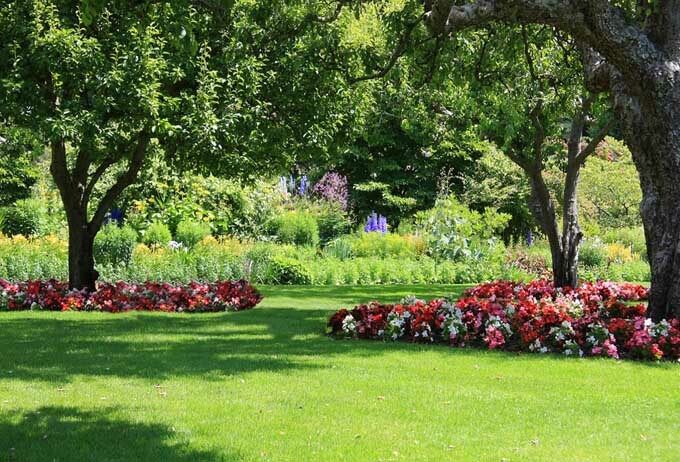 Both can be minimized with proper watering and fertilizing, and insecticidal treatments. 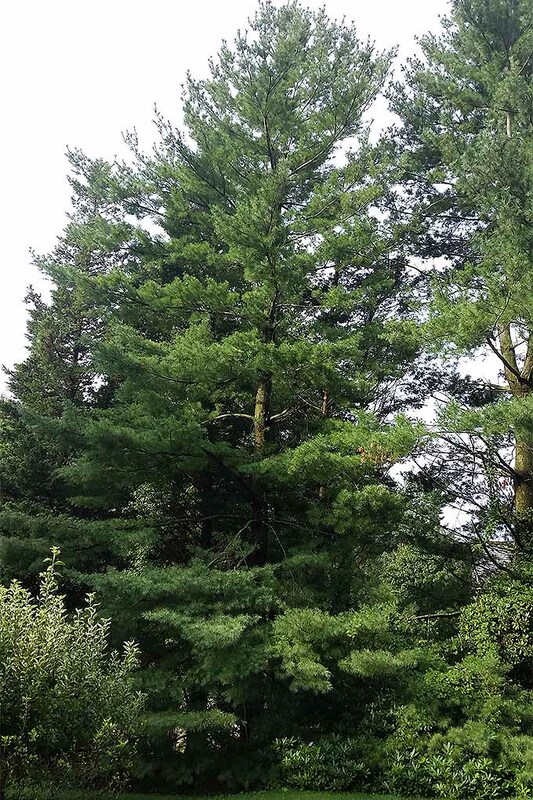 A personal favorite, the eastern white pine is the ultimate in fast-growing shade tree. Its long, soft needles are shed from the tree after seven years of growth and offer a natural and easy mulch underneath the area of the tree. 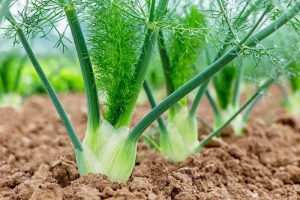 It grows anywhere between 40’ and 80’ tall with a spread of 20’ to 40’ and tolerates almost any soil condition, although it prefers to be in a moist environment. 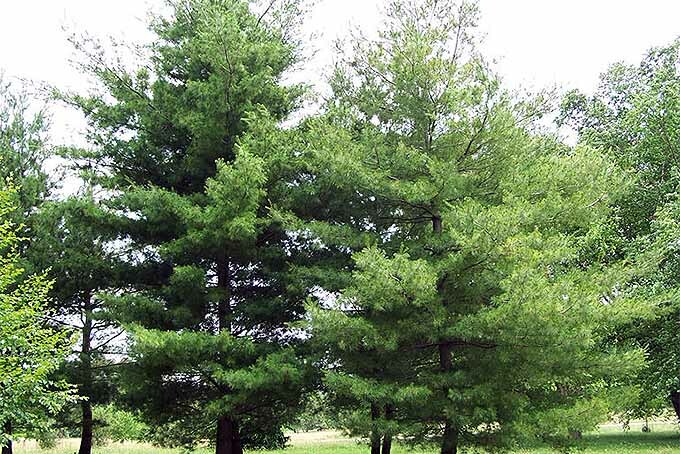 When planted together in a line, white pines act as both a wind buffer and a wall of shade. A line of white pine and a chunk of quaking aspen make for a well-protected property, if you have the room for them to grow. 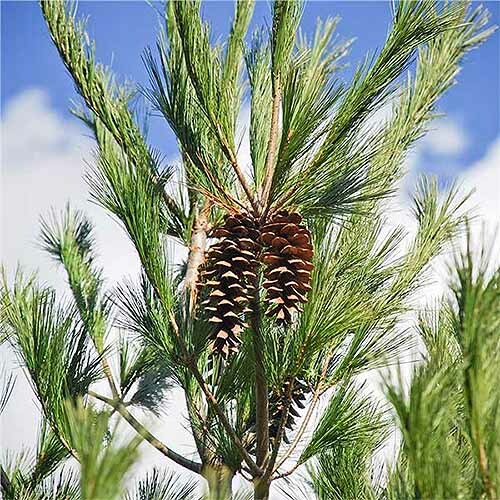 Eastern white pine saplings are available from the Arbor Day Foundation, though their delivery range is limited. Cannot be shipped to Alaska, Arizona, California, Hawaii, Idaho, Maine, Montana, Oregon, or Utah. Truly a wild tree, the white pine does not do well in areas of pollution. Grow it away from streets where it could be impacted by soil compaction and road salts. Older trees can become knotty and gnarled, with weak branches prone to sudden breaking. 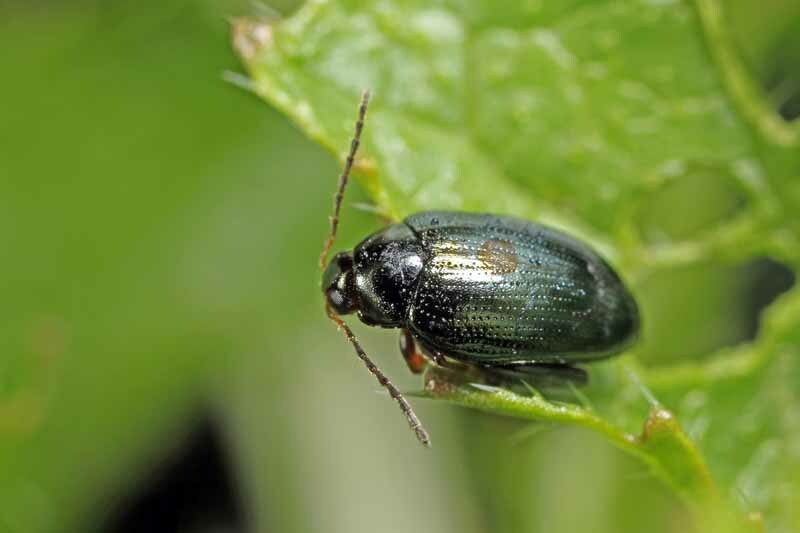 White pines are notably susceptible to pine weevils and rust. The most effective method of control is to maintain the health of a vigorous tree. In the case of rust and cankers, prune infected areas before the infection reaches the trunk of the tree. White pines are home to a variety of animals and birds. It can be difficult to find a fast-growing shade tree that does well in some of the hotter climates. The mesquite offers some rather dense protection from searing sun, and it thrives in the hot and dry climate of the American southwest. 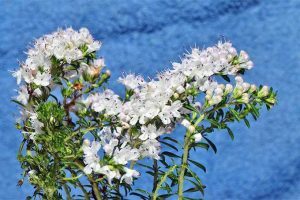 It is often seen on patios and along sidewalks, as it is one of the few plants that provides shade while growing in intense desert heat. Its foliage is semi-evergreen and its fruit pods are interesting to observers. 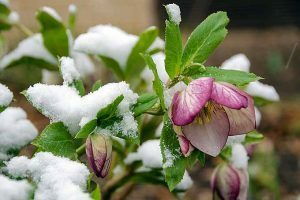 Your best bet is to check your local nursery or garden center for these trees and plant them in the springtime. If you want to take the slow route and try your hand at growing these trees from seed, Chilean black mesquite tree seeds are available on Amazon, in packs of 50. These are known for having fewer thorns than other varieties. This guy can put out a lot of leaf debris, so be sure to keep a safe distance from pools and other easily-clogged areas of the landscape when planting. 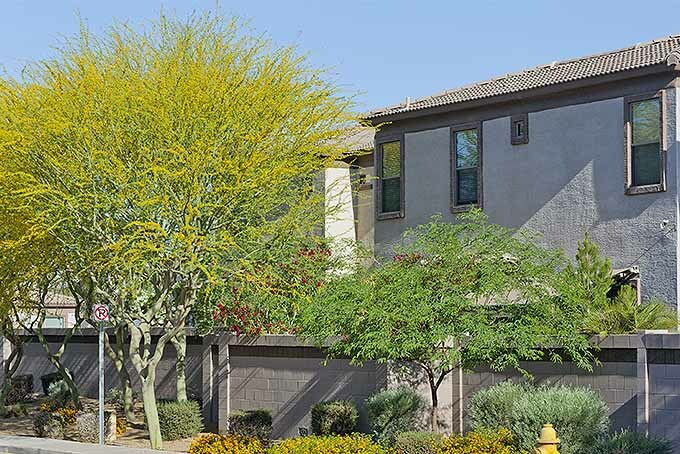 Mesquite does well when planted in groups, but it can make do as a specimen tree, too. 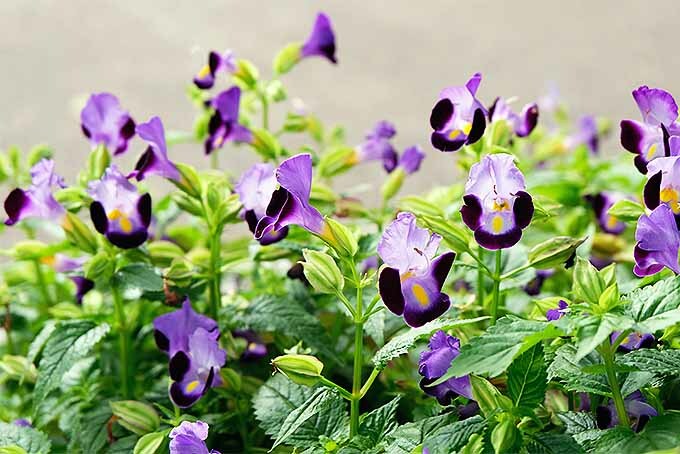 It’s vital to give new plantings a frequent and generous drink of water. 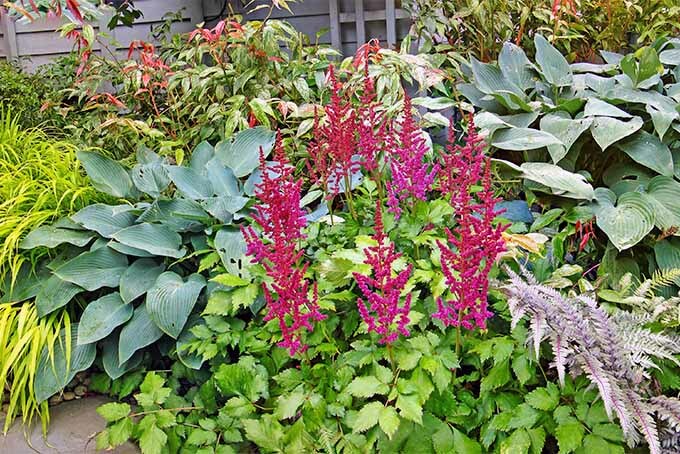 This is one of the key elements to a successful planting and that holds especially true for fast-growing shade providers. Putting out that much growth means they need a lot of water! 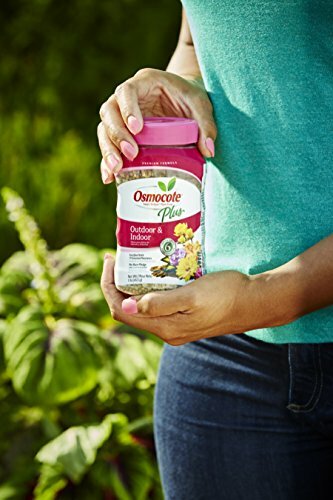 Fertilizing these new plantings is easily handled with my old friend Osmocote, available on Amazon. It’s tempting to give these fast-growers a beefy dose of fertilizer, but that can be detrimental in both the short term and the long run. If you’re a conventional grower, rely on slow-release fertilizers applied at suggested intervals. Osmocote can work for up to 6 months before requiring reapplication. 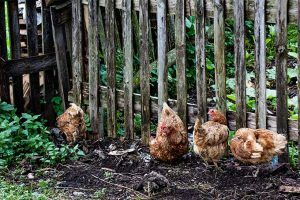 The shady friends mentioned here only need to be fertilized in the springtime, so that makes your life a whole lot more simple! Once you’ve made your selection, it’s time to get to planting! Before you know it, it will be time to bust out the lawn chairs and appreciate that break from the sun provided by the new addition to your landscape. If you’ve planted with the goal of cooling your home, you may need to wait a few years to see the difference, but it’ll be that much more sweet when you get there. 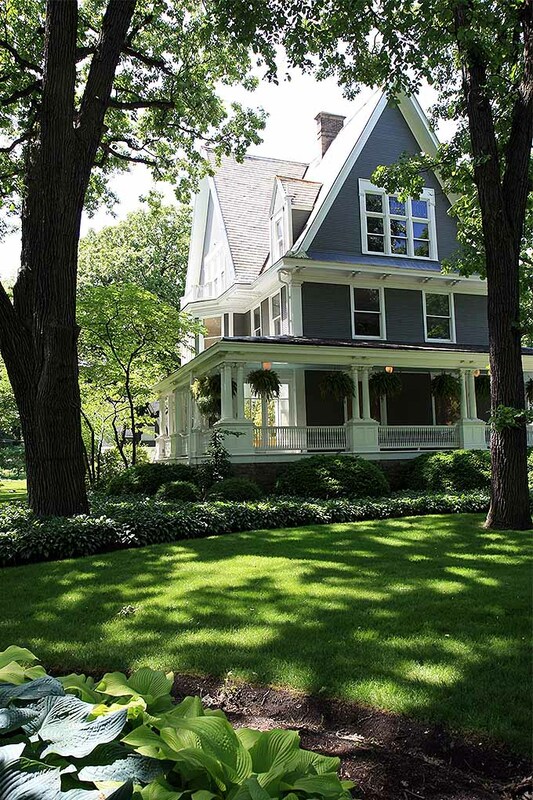 Do you have other suggestions for shade trees to include in the landscape? Leave us a comment! Photos by Matt Suwak. © Ask the Experts, LLC. ALL RIGHTS RESERVED. See our TOS for more details. Product photos via Nature Hills Nursery, Grower’s Solution, The Arbor Day Foundation, and Amazon. Uncredited photos: Shutterstock. Significantly revised and expanded from a version first published January 4, 2015, updated October 14, 2017. What is name of the trees in the above article? I am looking for a fast growing shade tree which will save plants from strong hot sun and save from heavy storms. Can you tell me the name of the above trees and growth rates please? Hello, Nabeel! 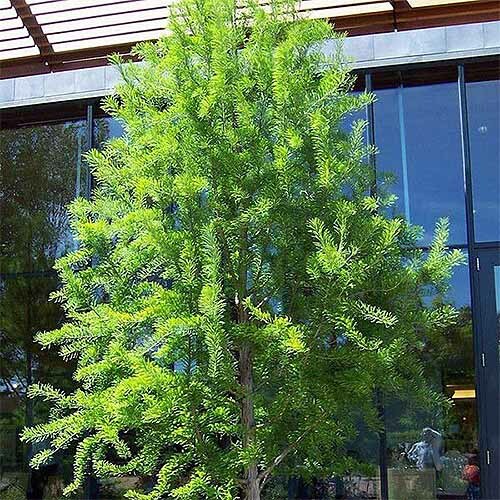 The Chilean Mesquite Tree could do well in hot sun, but it’s hard to pinpoint exactly what trees are best for your landscape without knowing the climate. If you could reply with the region where you’re interested in planting this tree, we can figure this out together! I agree that location is important when planting a tree in your yard. 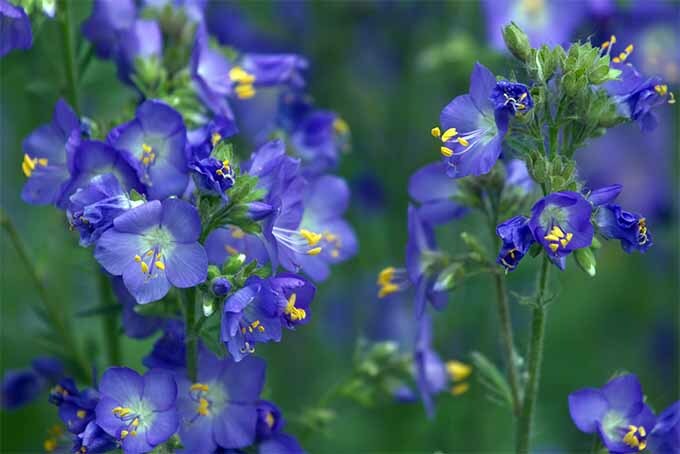 It would make sense to find something that is both pretty and easy to grow in your area. My husband and I are looking for some trees for our yard, so we’ll have to consider our area.